We are pleased to announce Rodgers & Hammerstein's State Fair as our 2019 Fall production!! Auditions will be held in August with rehearsals beginning in September. Show dates are in November (22nd, 23rd & 24th). 2019 Annual Member Meeting - SAVE THE DATE!! Promote the 2nd Annual Cabernet Cabaret and our Fall Show. NOTE: We also have 4 Open Board Positions to vote upon. Please contact a current member of the Board if you would like to run one of the open Board positions. We would need to know by the end of April!! We will be holding auditions on Tuesday, April 30th at 7 p.m. at Wayne Central High School. The Cabernet Cabaret will be held on Friday, June 21st, 2019 at the Young Sommer Winery. 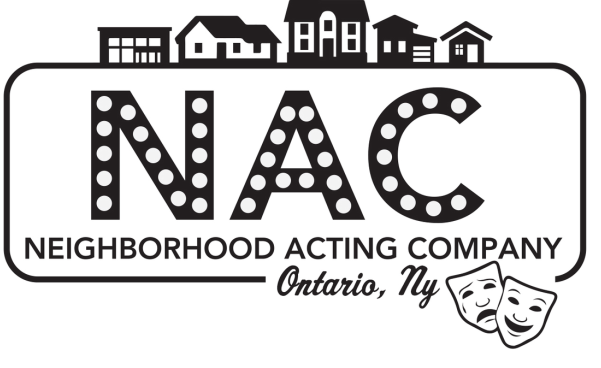 Scholarships are awarded by the Neighborhood Acting Company (NAC) to graduating seniors from Wayne County High Schools who have participated in NAC productions and who will be continuing their education in a program beyond high school. Gifts are given to seniors from outside Wayne County. Please see the form to apply (PDF & Word versions below)!! Applications are due before April 26th, 2019! Over 1,000 attendees came to see Willy Wonka over the 3-night run. Many thanks to all who attended & supported our most recent production. Check out our contacts to find out where we are located and how to reach us. The Neighborhood Acting Company is listed as a 501c3 Not-for-Profit Organization. All profits and donations are used directly towards student scholarships and continued community performances. If you are interested in offering a donation to our organization feel free to click on the link below to donate through PayPal, or go to our Contacts page to inquire for more information.